It might be possible to create a third bedroom in the dining space of this two-bedroom duplex. You need a real three-bedroom apartment in NYC and you can't afford to buy one. A more affordable option is a two bedroom that can be converted into a three bedroom, but the process is somewhat involved. 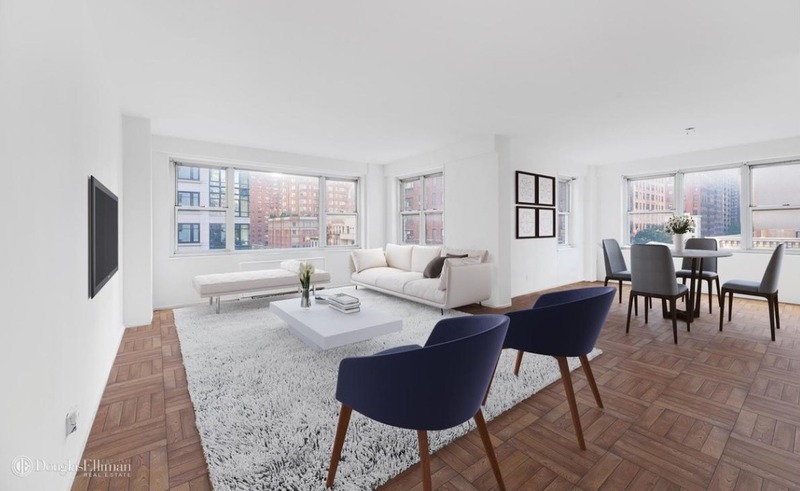 In this week’s Buy Curious, Michael Eisenberg of Citi Habitats, Claire Groome of Warburg Realty, and Brad Malow of Compass tell you exactly which layouts to seek out, what permit you’ll need, and how much it’ll all cost. We don’t think we’ll be able to swing a three bedroom for our growing family, so we’ve been thinking about buying a two bedroom and converting it into a three bedroom. How hard is it to do? What layouts should we look for? What else is involved? Adding a legal bedroom to your home can increase a unit’s value and make it suit your specific needs, Eisenberg says. But it can also reduce the size of your home’s common space and make the floorplan more “choppy” and less spacious since the square footage for the bedroom has to come from somewhere. Also, just because you find a nook or alcove in an apartment doesn't automatically mean it will be an extra, legal bedroom. You should know that legal bedrooms need a minimum of 80 square feet and no dimension can be less than 8 feet. To learn more, check out Brick Underground, "What is a legal bedroom in NYC." What are the best layouts to look for? Eisenberg recommends looking for apartments that are “more rectangular or square in shape and have many windows.” An apartment with a large open living area that can be cordoned off is also key, as long as it is big enough. 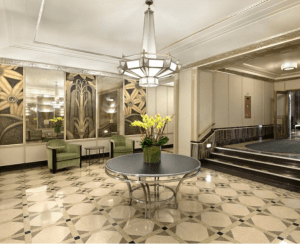 Groome advises considering prewar classic-six type apartments. “These two-bedroom apartments come with maid’s rooms that can easily be turned into a bedroom, nursery, or office,” she says. For Malow, multiple windows are what you want "for the best bang for your buck." So a large room with multiple windows is your best bet for yielding an additional bedroom, he says. Also consider your ability to build a standard-sized closet while still having ample bedroom space, being able to fit at minimum a queen-sized bed, and having heating and cooling capabilities in the space. The location of the bathroom is crucial, Eisenberg says. “Ideally, it’s already positioned in a foyer, existing hallway, or other common area—and won’t need to be moved to accommodate new walls.” That would potentially add thousands to a budget. Groome would also make sure that there’s either a closet in the converted area or room for one to be built. That really depends on budget. 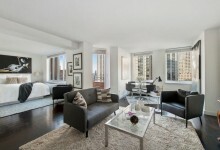 After all, you're looking for apartments that are big enough in terms of square footage to become three bedrooms. You might be inclined to look for a loft in Tribeca—but the days of being able to buy raw, unfinished space are long gone. 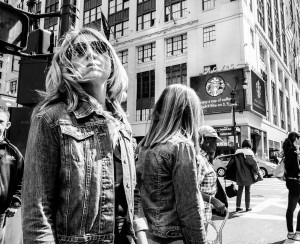 That neighborhood has the priciest real estate in the city, and lofts in Soho, the Village and Chelsea are a similar story. You'll want to aim your search at prewar co-op apartments. They have more generous layouts that have real dining rooms that may lend themselves to bedroom conversions. 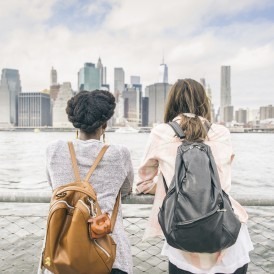 Check out the Upper East and West side of Manhattan. New condos are designed to use space more efficiently—for example a living room that doubles as a dining room, so there's potential for flexible space that can be turned into a bedroom. Of course, getting a renovation plan approved by a co-op board can require you to jump through many hurdles—for many, this is an aggravating process. You’ll need to know if your co-op or condo board allows bedroom conversions, and then for them to sign off on your plan—especially if you’re looking into breaking down walls and reconfiguring a space. 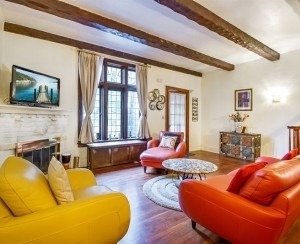 Check out Brick Underground's "Renovating a co-op? How to get your plans past the board." 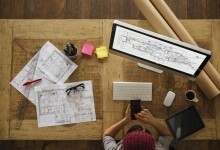 Altering the layout of your apartment requires a permit from the Department of Buildings, and to get a permit, your architect has to submit plans to the DOB for approval, and use a registered and insured contractor to perform the work. The architect will then submit plans for the renovation to the board, who will send them to their consulting engineer and architect for feedback. “It’s likely that they will have questions and comments—it’s a back and forth process,” he says. The architect will also guide you through the process with the Department of Buildings. Which permit will you need? According to Eisenberg, you’ll usually you need to file an Alteration Type 2 form with the Department of Buildings to add a bedroom to an existing apartment. “This process can take from a few weeks to several months—depending on the scope of the work,” he says. How much will such an undertaking cost? That all depends on the complexity of the project, how much the architect and contractor charge, and how much any permits cost. Malow says that an architect’s involvement can add anywhere from $10,000 to $25,000 to the job. “Add that to your contractor quote and building fees, and you may be looking at upwards of $20,000,” he says. For simpler projects, Groome says that it should cost approximately $5,000 to erect a wall, and an additional few thousand to build a closet (if needed). 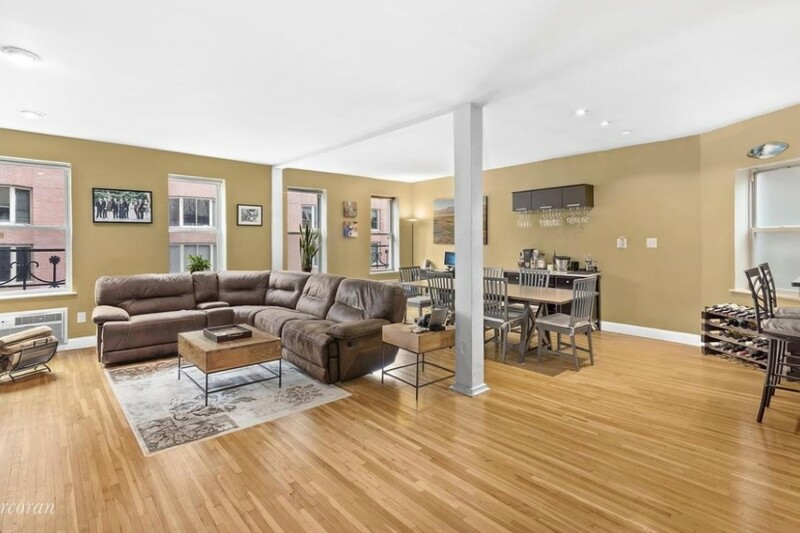 This 1,250-square-foot, two-bedroom, two-bath penthouse duplex (also pictured above) has high ceilings, hardwood floors, exposed brick, a working wood-burning fireplace, an open living/dining room. The kitchen has granite countertops and stainless steel appliances. There's also central air, and a washer and dryer. A third bedroom could potentially be created in the dining space. It’s in a pet-friendly boutique co-op building with a roof deck that allows co-purchasing, guarantors, and gifting. It’s listed for $1,199,000. Maintenance is $2,273 a month. 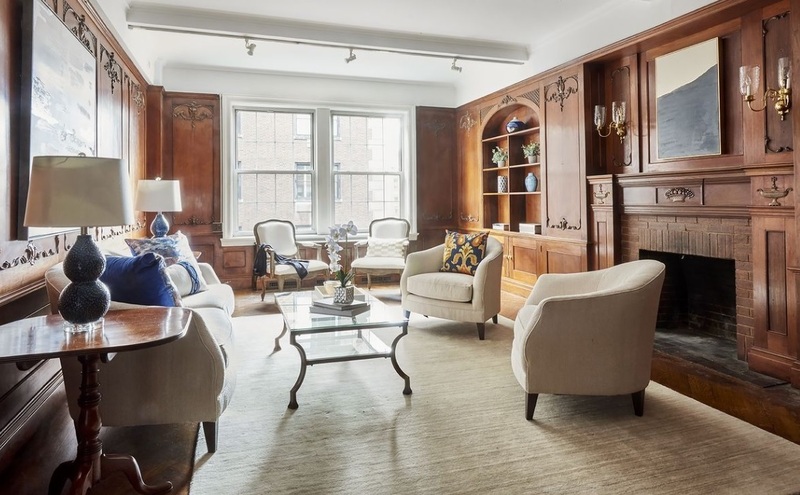 Listed for $1,675,000, this 1,400-square-foot, corner two-bedroom, two-bath co-op has large closets and has been freshly repaired and painted. It has a separate dining area that could potentially be converted to a third bedroom. It’s in a co-op building with fully rented retail that’s generating income, a garage, and an elevator. A washer and dryer are allowed with board approval. Maintenance is $2,217 a month. Features of this $2,200,000 two-bedroom, two-and-a-half-bath duplex include high ceilings, exposed brick, two wood-burning fireplaces, a recently renovated kitchen with a dishwasher and a garbage disposal, three storage lofts, California closets throughout, a full-floor master suite, an in-unit washer and dryer, and a 1,000-square-foot private terrace. The formal dining area may make a good third bedroom. It’s in a walk-up co-op building that allows subletting and pets (with no size or weight restrictions), as well as pieds-à-terre. Maintenance is $2,664 a month. 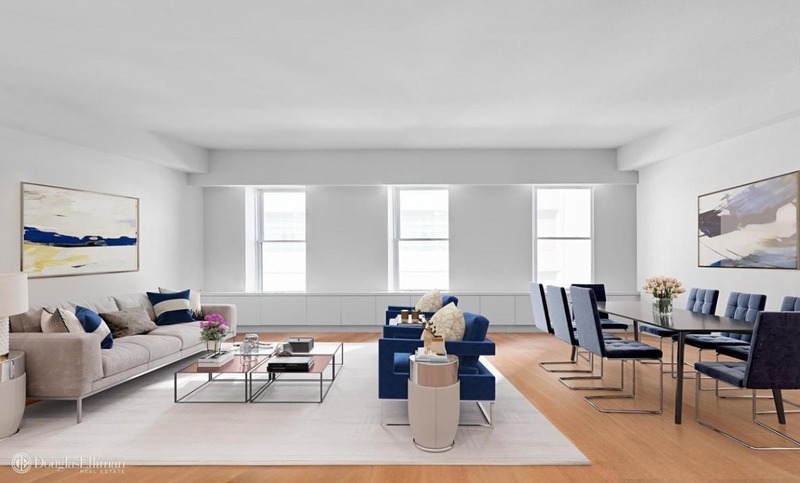 Listed for $4,795,000, this 2,316-square-foot two-bedroom, two-and-a-half-bath condo has wide-plank solid wood floors, large windows, custom lighting, a chef’s kitchen with white oak cabinetry, marble countertops, and stainless steel appliances, a large living and dining room area, an additional room that separates the bedrooms and living area that can be used as an office or another bedroom, and custom walk-in closets in both bedrooms. A tenant is already in place. This is for investors only. It’s in a boutique condo building. Common charges are $2,081 a month. Taxes are $2,917 a month. 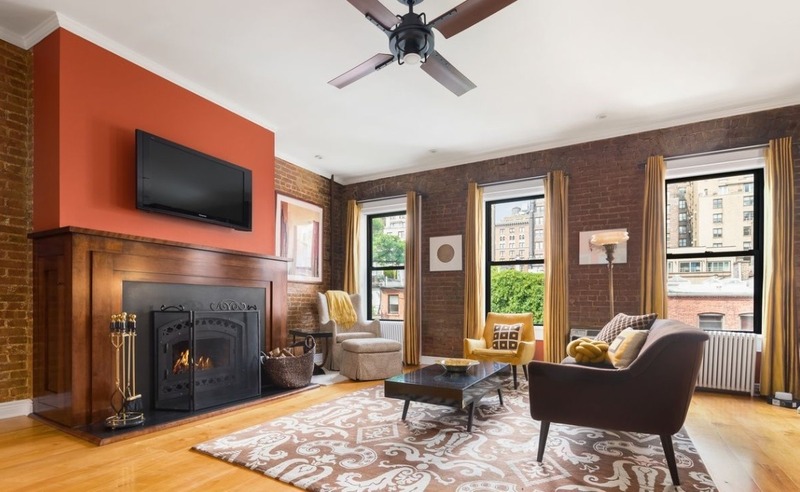 Listed for $2,395,000, this two-bedroom, three-bath co-op has hardwood floors throughout, a wood-burning fireplace, lots of closets, and two bedrooms—both with private en suite baths. There’s also a maid’s room that can serve as a third bedroom. 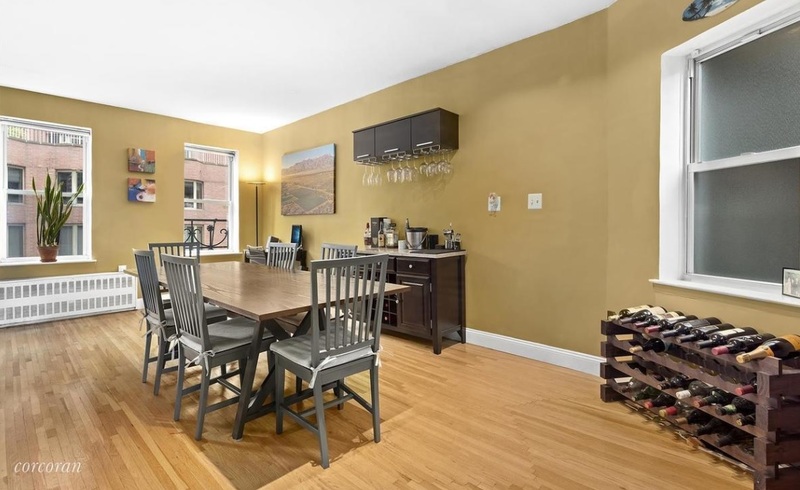 It’s in a full-service co-op building with a full-time doorman, a concierge, a live-in super, a fitness room, bike storage, and a storage unit. Maintenance is $3,495 a month.